A north-east homelessness charity has thanked a church congregation for gathering a remarkable 58 boxes of provisions for a food bank. 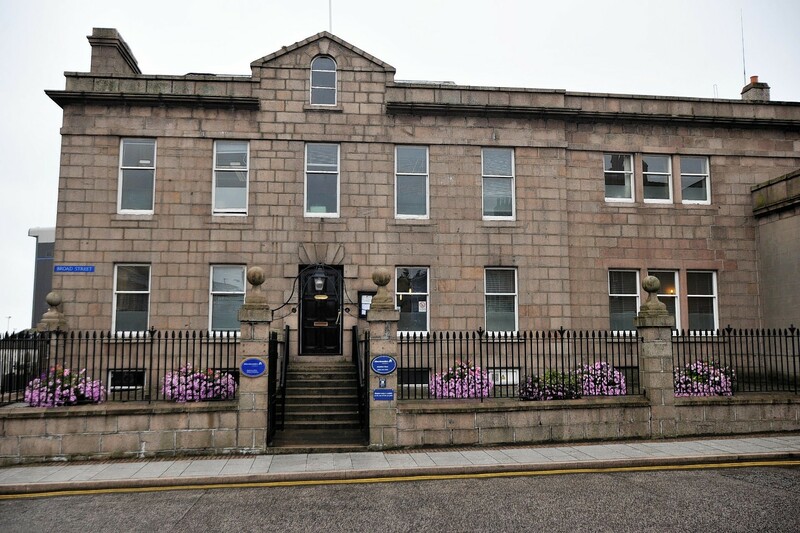 A former council headquarters could be turned into Peterhead’s first seafood restaurant. An SNP councillor could face a watchdog inquiry over a public tirade claiming a senior Conservative told school pupils immigration was to blame for pressure on the school system. Aberdeenshire Council has been warned by a financial watchdog that its reserves of cash for use in emergencies are drying up. These pictures show the moment when residents of one of the north-east’s most popular tourist attractions returned to their watery home. The family of the late Press and Journal farming editor Joe Watson has unveiled a bench to commemorate him and his father. A mum has claimed there is an “undercurrent of racism” in the north-east after her two children were racially abused just days after starting their new school. A public meeting has been organised to decide the future of a disused RAF sports pavilion and pitch after dozens of local residents backed a scheme to refurbish them. Councillors in Banffshire have once again been asked to throw out proposals to expand a housing development on the site of a former hospital. North-east councillors have been asked to consider implementing safety improvements on a village road where an eight-year-old boy was killed. Aberdeenshire Council and a local community group have a launched a consultation on the future of a north-east public park. A charity calendar has been created to raise cash to support education work at a north-east aquarium. A 23-year-old who died after his car was swept away during heavy flooding was visiting relatives when the tragedy happened. A north-east church is appealing for food bank donations after revealing demand is as high as ever. Council chiefs have admitted the collapse of a historic north-east pier, while engineers were working to strengthen the jetty, has left regeneration efforts high and dry. A host of new businesses have thrown their weight behind a £500,000 scheme to revamp the heart of the north-east’s biggest town. Councillors have approved plans to build a new 231-home affordable neighbourhood in Turriff. A teenage boy has been charged by police after allegedly carrying a knife outside one of the north-east’s busiest secondary schools. A north-east community group has hit out at the state of an abandoned care home which closed its doors two years ago. A new community group has opened its doors in Peterhead with the aim of getting the region’s workforce back into jobs. A north-east golf club is to take over a nearby driving range to create a Buchan golfing superstore. Plans to transform a run-down Banffshire hotel into a trawlermen’s respite have taken a step forward. A north-east public toilet could finally be granted a reprieve after councillors were asked to commit to keeping the convenience open. Councillors who delayed a proposal for a new 231-home neighbourhood in the north-east have been asked to restart the project after fears over traffic and safety were proved unfounded. North-east councillors have given their backing to proposals to build a business park which could bring dozens of new jobs to the region’s biggest village. Senior Aberdeenshire councillors have tried to bury the hatchet over controversial plans to scrap visiting specialist posts in art, music and drama. North-east councillors have dismissed concerns that education chiefs in Aberdeenshire have spent close to £40,000 a year sending seven pupils to the city to study Gaelic.